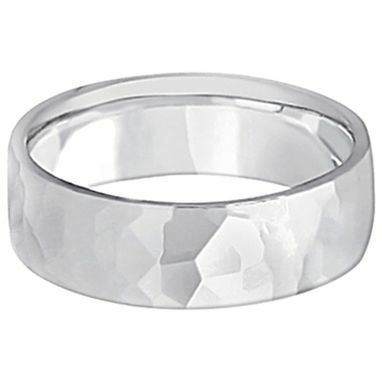 This contemporary men's designer ring is crafted in 14kt white gold and features a shiny hammer finished band. For men that do not want to sacrifice style for comfort, this low dome styled band is comfort-fit with rounded inside edges to provide a perfect fit for him. 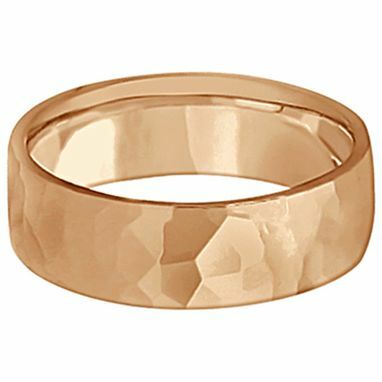 Wear this modern carved gentlemen's wide band ring as a wedding band, as an anniversary ring, or as a fancy right hand fashion ring. 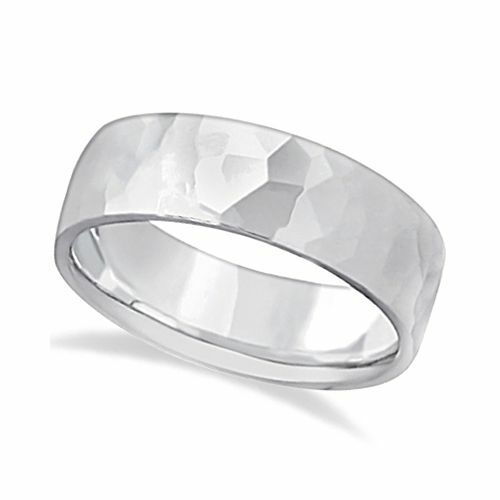 Available in other finishes, other widths, and other precious metal types.